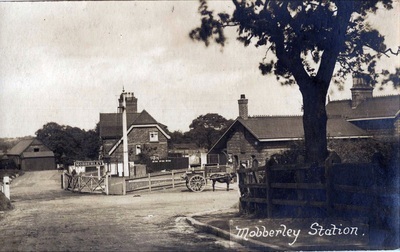 The Railway Line from Manchester to Chester reached Mobberley in 1862 but it was only one of six fully costed and surveyed proposals laid before Parliament in the 19th Century. This period has become known as Railway Mania and was an instance of speculative frenzy that gripped the nation in the 1840s. In 1846 alone, 272 Acts of Parliament were passed, setting up new railway companies. Around a third of those authorised were never built as a result of either poor financial planning, fraud, or being bought out by a competitor. 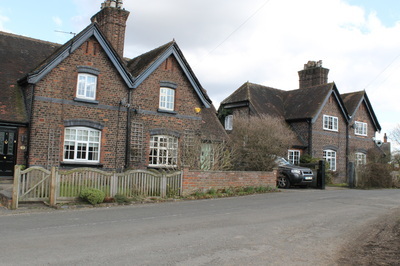 These Acts of Parliament sought compulsory purchase rights and were accompanied by detailed maps of the routes accompanied by Books of Reference drawn up by firms of solicitors outlining every single field and property, its owner and occupier. This was a proposal to link Wilmslow with Hartford. 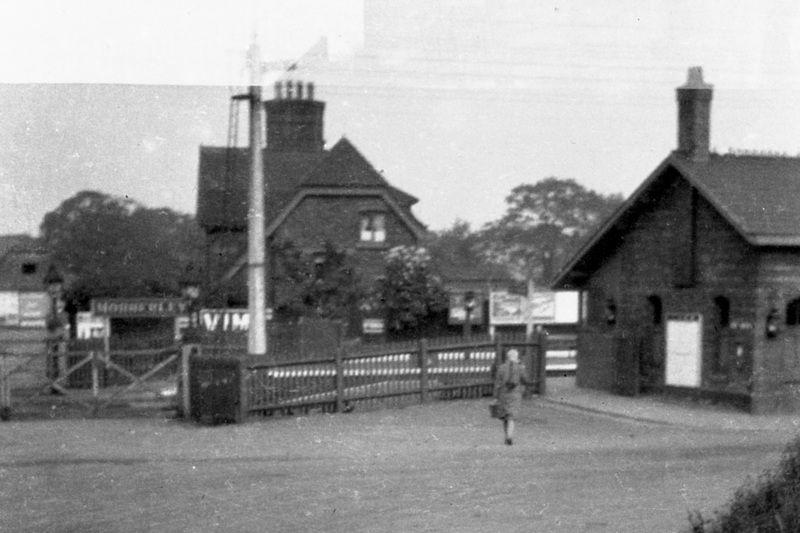 The line would branch out from the relatively new (and existing) railway through Wilmslow to Manchester, cutting west across Lindow Common and then through Moss Lane just south of its junction with Paddock Hill. 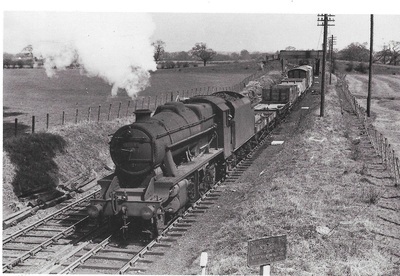 It then bent south cutting across Hall Lane west of the few properties existing at that time and carried on south of Town Lane, cutting by Pavement Lane Farm and out across Shaw Heath through Knutsford (which had no railway at that time as it was the extension of the current line which reached Mobberley in 1865. At that time this route was mainly through fields. Origins: The citizens of Manchester required a more direct route south than that via the Liverpool and Manchester. The Manchester & Birmingham (M&B) line from London Road (now Piccadilly) to Crewe opened in 1842. In 1845 the Grand Junction Railway took over the Liverpool and Manchester. Then in 1846 the GJR, M&B and London and Birmingham railways became parts of the London and North Western Railway (LNWR). The plan was dropped. Staffordshire Potteries and Manchester Railway. This line arrived through Toft and Ollerton and the east of what was then Knutsford town centre and proceeded north through Mobberley Wood and Raleigh Wood at the eastern edge of what we know as Tatton Park, to the west of Broad Oak Farm. 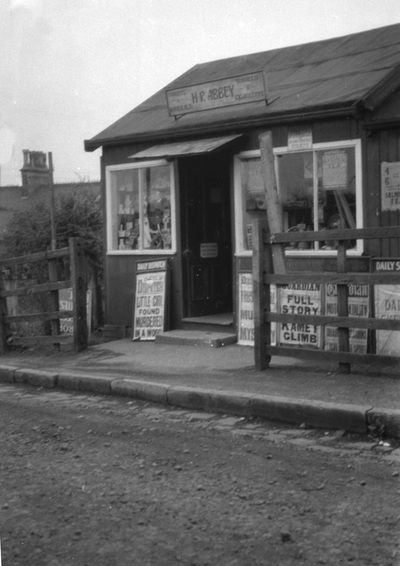 It carried on east of Park Farm and west of Kell House Farm and onward towards Ashley and Manchester. Origins: In 1845 The North Staffordshire Railway - an amalgamation of the Churnet Valley and Staffordshire Potteries Railways - was incorporated. The Chairman was John Lewis Ricardo, M.P. for Stoke-on-Trent, George Parker Bidder was Consulting Engineer and Samuel Parker Bidder was General Manager and resident Engineer. In 1846 The London & North Western Railway was incorporated, principally by amalgamation of the London & Birmingham, Grand Junction (including the Liverpool & Manchester) and Manchester & Birmingham Railways. The proposal was dropped. This proposal linked Warrington with Macclesfield. 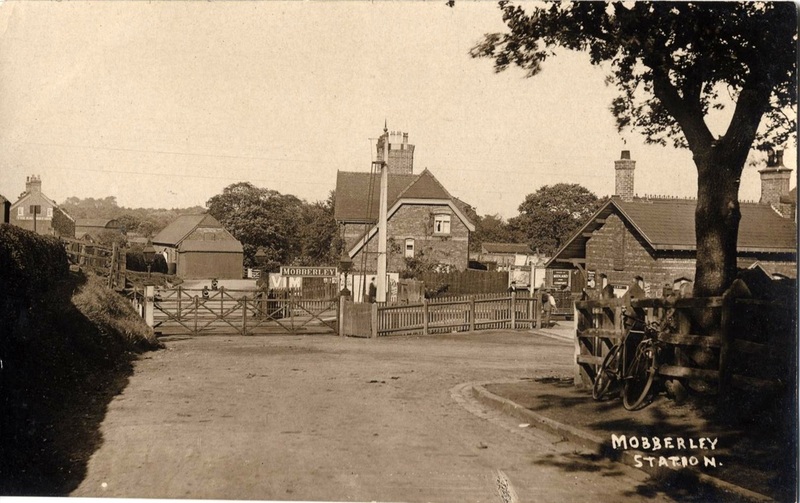 It approached Mobberley from around where Junction 7 of the M56 sits today and cut across south of Ashley village, north of Sugar Brook Farm and touched the top of Mobberley Parish where John Bracegirdle and Isaac Brown farmed at Wood End and Wood Lane. 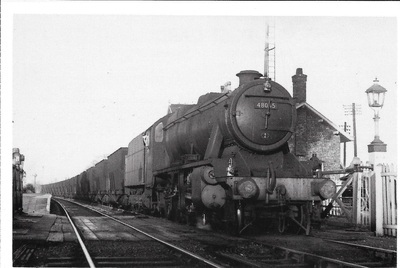 It then ran through the centre of Morley Green and out through Pownall Park and the Carrs in Wilmslow, across the existing Manchester Wilmslow railways line towards Macclesfield. This proposal created a junction on the line that we now know around Podmore Hollow on the Knutsford-Mobberley boundary. The line would then have passed Duckinfield Hall and across Pavement Lane Farm, south of Town Lane and Hall Lane and across Faulkner’s Lane between Coppock House and Antrobus Hall, the only two properties on that road in 1865. Thence onward towards Macclesfield. This line was intended to link Warrington with Lincoln and took a route through Mobberley almost identical to the Macclesfield and Knutsford proposal of 1865. The only difference was a junction closer to Knutsford Station that was built in the 1860s. Origins: The Lancashire, Derbyshire and East Coast Railway (LDECR) was a British railway built toward the end of the era of British railway construction. It arose out of a perceived need for an East-West line, the plan being to take it from Warrington on the Manchester Ship Canal to Sutton-on-Sea on the east coast of Lincolnshire. It was largely financed by a group of coal owners, led by William Arkwright, a descendant of Richard Arkwright. It was the largest railway scheme ever approved by Parliament in a single session. In addition to 170 miles (270 km) of line including branches there would be dock facilities at each end. The line from Chesterfield to Lincoln was opened in 1897, but this was to be the only part of the railway actually completed. The railway was bought by the Great Central Railway in 1907. Like most new railways of the time its purpose was the carriage of coal. The project's leading light was William Arkwright, a descendant of Richard Arkwright who had made the family's fortune by mechanising the spinning of cotton. William Arkwright had settled at Sutton Scarsdale Hall near Chesterfield and with the land came extensive deposits of coal. The rail network in the vicinity provided by the Midland Railway and the Manchester, Sheffield and Lincolnshire Railway was still in its infancy and would not meet his requirements. In 1887 the Chesterfield and Lincoln Direct Railway was proposed independently to join with Midland lines at each end. It would cross his land but received insufficient support. 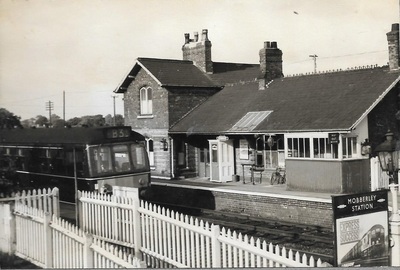 Arkwright initially supported the proposed Newark and Ollerton Railway authorised in 1887 as a branch from the Great Northern Railway at Newark to Ollerton. 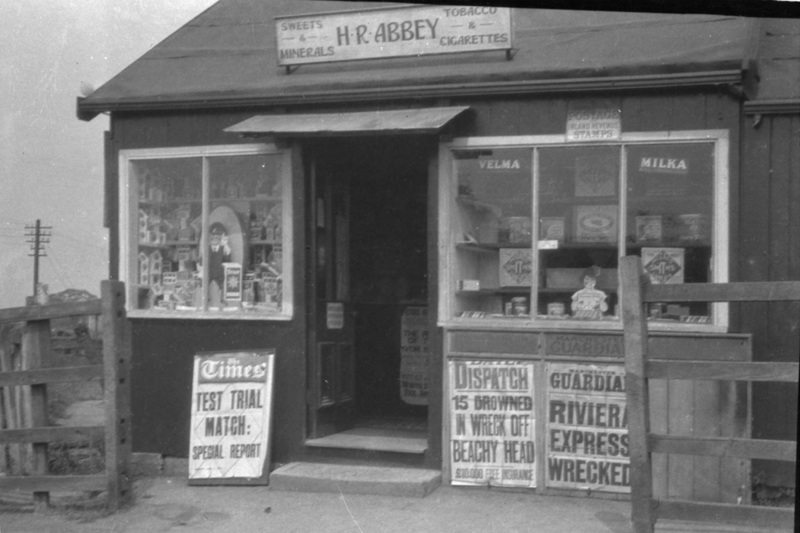 The main trade of the latter at the time was the production of hops. 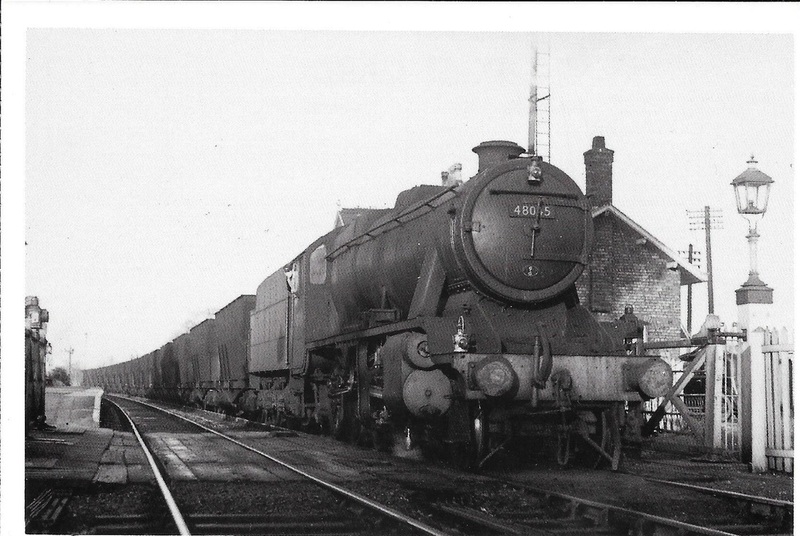 However there were vast reserves of coal and the line was being promoted by the Nottinghamshire coal masters. Arkwright suggested that the line should be extended through his own estate to Chesterfield but received no support from the GNR and decided to promote an independent line and greatly extend its scope to provide through roads to opposite coasts of the country. In time it became known as "The East to West". It would be sufficiently large to maintain itself in the face of competition from other railways. There were a number of lines already approved but not carried forward which could be incorporated. With the Newark and Ollerton there was the Macclesfield and Warrington Railway and the Lincoln and East Coast Railway. A number of other lines had been considered but not formally proposed and these, together with plans for dock works at Sutton on Sea which had been approved in 1884, gave Arkwright his route and support from the various landowners involved. The Lancashire Derbyshire and East Coast Railway Company was formed at 27 George St in Westminster and published its plans in 1890. There was initially a deal of opposition from landowners and other railway companies but, in the end, the main opponent was the MS&LR because the line would bypass its own line from Sheffield to Retford and thence to London. The Great Eastern Railway turned from opponent to supporter, realising that the line could give it an entree to the Midlands coalfields. The Lancashire, Derbyshire and East Coast Railway Act authorising building the line was given Royal Assent on 5 August 1891. A later Lancashire, Derbyshire and East Coast Railway Act, concerned with changes, enhancements and agreements such as granting running powers to the GNR was passed by Parliament on 27 June 1898. Today's railway: the original station in Altrincham (at the junction of Lloyd Street and Railway Street) opened on 20th July 1849. The link to Mobberley & Knutsford was opened on 12th May 1862. Northwich was connected on 1st January 1863 and Chester by 1874.